Not many films dare to put the em dash in their title. Behind the slick, hyper-modern, Apple Computer veneer, this is sort of a throwback to a time before gritty and real and visceral (but still PG-13) were major buzzwords in tentpole action films. 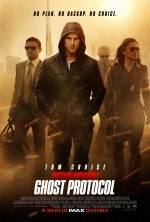 Tom Cruise leads a group of character archetypes through a massive conspiracy to stop a nuclear war. It's so strangely safe a plot that it has to be a race against the end of the world itself. But then, the story isn't the point; these are films about high tech, high tension set piece moments and action sequences with nearly unlimited budgets, and this is where the film largely delivers. First time live action director Brad Bird (yep, the guy who made Iron Giant and The Incredibles) is able to bring more than a few pulses of exceptionally nimble choreography, ranging from rousing and novel chases to a surprising number of quiet, clever, and subdued sleights of hand. The ragtag group of misfits chosen to save the world all find a great chemistry among the chaos, with each member given several chances to really shine and be featured. It's a movie absolutely overflowing with ideas to excite even as several of the story reveals fall flat. There's a sheer confidence to its goofy stride that, while it's certainly several notches over the top, it still manages to remain unpredictable and, best of all, damn entertaining. Wes Anderson films are sometimes a hard thing to judge. Sure they’re comedies, but they're often so deadpan it can be hard to tell. Is the film failing when it isn’t funny, or is it simply not trying to be funny at that moment? This approach works much better in some films than in others. This is one of those others. There are certainly moments in this quirky tale of a runaway boy scout, but they’re too few and too far between. In the meantime, we’re treated to some pleasantly bizarre camerawork, and intermittent appearances by the usual Wes-Anderson-film suspects spouting off the occasional one-liner or standing in a pleasantly preposterous setting. Generally, it works, but it’s missing something. The child-actors that make up the focus of the film are great as an ensemble but are very uneven when they’re off on their own, while the plot wanders with all the certainty of a child’s storybook. It’s served up with a wink, yet with little of the cleverness. Let’s be clear: this is a film with problems, and some of them are pretty big. Yet the fact remains that they just don’t make sci-fi like this very often: grand and inquisitive, poking a big stick into bigger ideas and seeing what kind of horrifying monstrosity of an answer comes tumbling out. For the first half of the film, it’s almost as good as you want it to be. The setup is immediately compelling: an invitation to a faraway planet written on ancient cave walls across the world. We wonder what answers wait in the far reaches of space. This is a horror-thriller, however—wonder will soon give way to dread, and unfortunately once things inevitably start to go sideways the plot and pacing do the same. The second half is frankly a bit of a mess. Character motivations get lost in the shuffle, traumatic events pass with hardly a moment of reflection given to the victim, and developments that should be startling are met with a strange sense of apathy. Horror exists almost entirely on the premise of characters making poor decisions, but some of these are particularly cringe-worthy. And yet this is still a film worth seeing. For one: it’s absolutely gorgeous from start to finish, with barely a shot that is anything less than beautiful, even when it’s grotesque. For another: Michael Fassbender’s performance as the android David is absolutely riveting. And there are still those questions it’s keen on fiddling with, dangling like a carrot on a stick. This may not be a perfect film by a very long shot, but there’s more than enough here warrant recommending. Especially if you’re a fan of the Alien franchise. Simply put, this is as appropriately named as a movie could possibly be. Films by Wes Anderson can be a hard sell to some people—his penchant for darkly deadpan delivery means that it can sometimes be too easy to take him seriously. Not so here, as the mix of whimsical stop motion, smartly written kid-friendly tale, and infectiously low-key characters create a sense of unexpected calm amidst the considerable chaos. This is not a film that goes for the big laughs and the big excitement, but rather nudges itself along with a sly wink and a charming giggle. It is at times both pedestrian and ironic, while simultaneously being impossible and straight-forward. 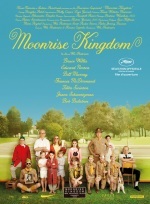 This is a very smart film, fully capable of instilling wonder in adults and knowing smiles in children. There is not quite enough drive to push this excellent movie into classic territory, but in almost every way this is a beautiful, thoughtful, delightful ride for anyone who likes their entertainment with a touch of subtlety. Jean-Claude Van Damme, the muscles from Brussels, is a washed up actor who's hard up for cash and credibility. Then he gets involved in a bank robbery. There's a strange thing going on in this mostly-French language film. With Jean-Claude playing himself, the fourth wall is but a plot device, and in fashion similar to Being John Malkovich there's the sense that the things going on behind the scenes are as important as the on-screen result. Van Damme seems to be trying to reinvent himself with this film, repositioning himself with a mea culpa for his reputation, and the result is surprising and compelling. Sadly, the same cannot be said for most of the remainder of the film, which is a largely standard trip through the genre. There's nothing particularly bad about the story being told, just that it doesn't really stand out. Yet still, there's a nugget here from Van Damme, a genuine showing that there's more to things than what usually makes the cut. While the film itself may not be much, there is still something honest to be appreciated. Someone drops a box off at your door. Inside is a button. You are informed that if you press the button someone you do not know will die, and you will be given one million dollars. You have twenty-four hours to decide whether or not to push the button. And from that, things get weird. What starts out as a great bit of mental torture and suspense quickly gives way to an extended episode of The Twilight Zone with all the trimmings. Unfortunately, it's just about as cheesy too. There's some excellent weirdness going on in this movie, but while the scope of events from one reveal to the next is spot on, the sense of mystery doesn't quite follow suit. Lots of things change for the cooler, but it's hard to really care beyond curiosity. That's a shame too, because with a bit more love and a lot less runtime this could have been a perfect popcorn muncher. The same Richard Kelly that brought us the excellent Donnie Darko does a very good job capturing the vintage 70s television vibe throughout, but alas it just doesn't quite come together in a way that does its far-out ideas justice. Blaxploitation has to be a tough genre to revive in these over-sensitive times. For all the cheek we get out of other exploitation genres, it's hard not to cringe at the idea of making a film that “exploits” a racial culture. But then a riotous throwback like this comes along and you remember to ask “who cares as long as it's fun?” This film is as much about culture as Airplane! is about aviation. What this winds up being is a solid ninety minutes of smartly foul, hysterically absurd humor, poking fun at all the Blaxploitation tropes, from the sassy women to the giant afros to the ever-present fight against The Man. It's all here and it's all gloriously cheesy. Nunchucks are swung, asses are kicked, and fourth walls are broken, and by the end it's all a warm glow of fantastically trashy humor. As far as harrowing scenarios go, it's hard to picture worse than being trapped in a metal contraption hundreds of feet below the surface of the ocean with every pipe around you creaking under the pressure, and enemy ships passing by above you determined to see you drown. Try to forget for a moment that his is a film about Germans in World War II; just focus on the human drama on display. The result in unbelievably tense and thoroughly nerve wracking. There is rarely a dull moment in the film, as each passing boat or each life-threatening trial perfectly ups the ante. 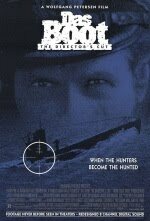 Being that it is film about the unrelentingly tight quarters of a German U-Boat, the atmosphere of cramped quarters is sold to perfection. 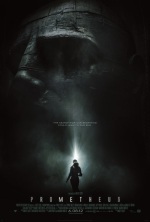 If you are claustrophobic, you may want to give this one a pass It may not be perfect, largely thanks to some transparent production whenever the boat surfaces, and an ending that feels either contrived, or bluntly honest, but even with those caveats this film is a masterpiece of total suspense, and a fascinating peek at a nightmare situation for many people.